Some people are extremely bright yet emotionally crippled. Others are very loving, yet their daily lives are chaotic. Many have great faith but little clarity, while others are creative but stymied by a lack of confidence. Why are people so lopsided in their development? Why do some of us feel love but find ourselves unable to express it? Why do some of us commit ourselves to an endeavor "from the heart" only to become disenchanted? Why do some of us feel confident and powerful within ourselves, yet become frightened when we try to realize our potential? Answers to such questions may be found in the chakra system, the seven ethereal centers that both reflect and influence the qualities of our nature. Some twenty years ago, the author--a clairvoyant from youth--began her examination of the chakra system to explain the imbalances so prevalent in people today and found that it does much more. In addition to correcting imbalances that prevent us from reaching our aspirations in life, the chakras also help us realize the spiritual beings we truly are already. The Wisdom of the Chakras is the result of Ellen Tadd's years of spiritual exploration and counseling work. She shows how the chakra system functions in everyday life, how our thoughts, words, and actions affect this system, and how the chakras in turn shape us. She also provides practical exercises that can be integrated easily into daily life to heal each chakra and attain the alignment needed for a healthy and spiritual life. 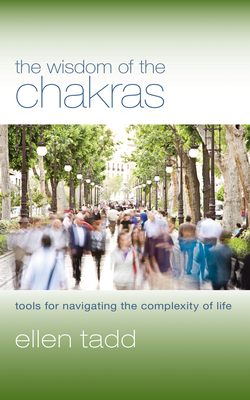 The author describes each of the seven chakras, their functions, and their individual and interconnected qualities and components. Although each chakra is discussed independently, each nonetheless functions as part of an interdependent cooperative whole. As a result, the chakra system offers a framework and the tools needed to understand numerous common imbalances, individually and in combination, helping the reader to integrate the various characteristics and create greater harmony and balance in daily life. For those who find themselves and their lives out of balance, the practical answers in The Wisdom of the Chakras will encourage them to look more deeply into our common nature and begin to see that our human nature is also the nature of the larger cosmos.